Hi Dave thanks for your reply. I will post or pm some photos of the trike to you ASAP and take it from there. yes, still for sale. I'd rather go with a straight sale if possible, if you are interested? Can you either post or pm me some pics of your trike and then we can go from there? I can sympathise with the broken elbow, I'm nursing a fractured pelvis at the moment. Is the m5 m racer still for sale. You mention a possible exchange for a trike. I have a AZUB T Tris26 folding trike that I bought new via laid back bikes in Edinburgh in September 2017 that I have hardly used. 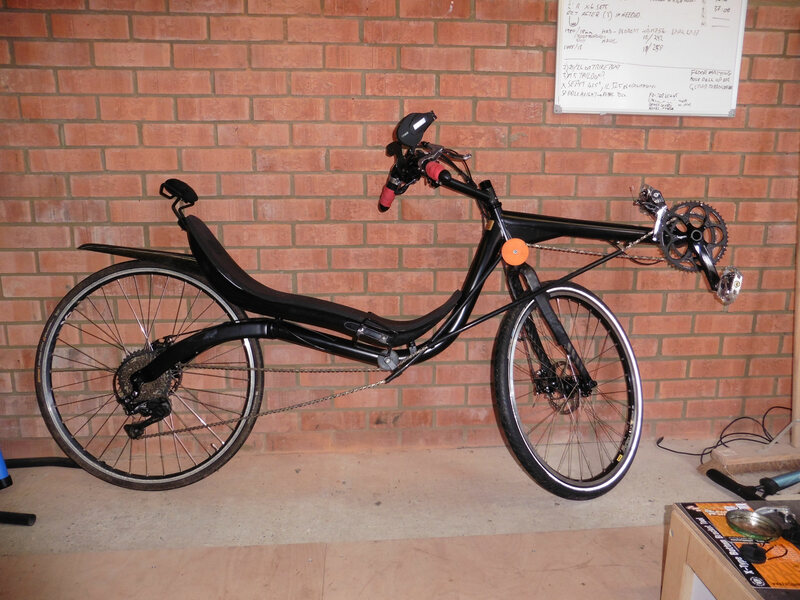 I bought it when I was recovering from a broken elbow and unable to ride a two wheel machine, but recovered more quickly than expected and so it remained unused. It has been in my garage apart from a few trips out in dry weather ever since so it is in pretty well perfect condition. It may not be what you have in mind, but possibly worth considering. I live near Beverley in Yorkshire. Anyway let me know if you have any interest in a possible exchange of some sort. Bump, still here, will take £1850 cash, or swap for a suitable ICE trike. Decided to sell my M-5 MRacer, as it's been languishing in the shed since I built my Cruzbike S40, just doesn't suit the riding i want to be doing. I self built this to a decent spec in July 2016, importing the frame. Frame - Standard seat with ICE headrest, carbon fork, standard steerer and tiller, carbon rear mudguard, in black. I'm running it with an elevated chain line at the front to allow better steering clearance, but also have the double idler for below the seat. About 2000km on it, never dropped at speed, just a few fail to unclip when coming to a halt (if you're quick you can get a hand down). I also have a brand new Ventisit comfort cushion to throw in, still got the tags on it. Built for £2,300 Looking for £ 1,950, or would swap for a good condition ICE Trike with 26" or 700C rear wheel and fold. Will add some photos later, but in VGC also going to put on YACF.